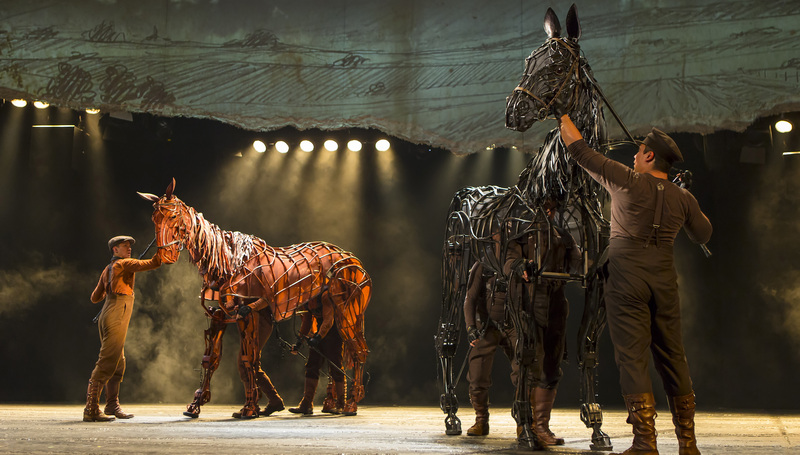 We got a few moments with War Horse Head Puppeteer, Jon Riddleberger, and were able to ask him about his experience playing a horse. Jon Riddleberger is a New York based actor, writer, puppeteer, and animator. 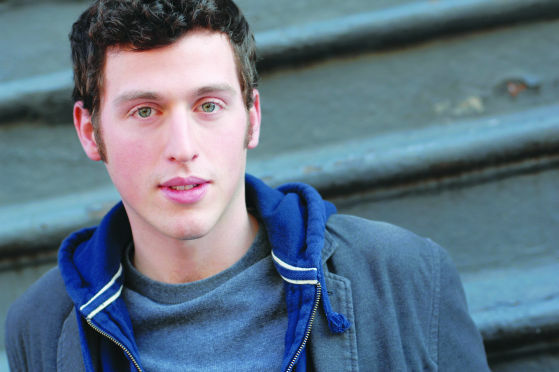 He is a member of the New York based theater company Theater Reconstruction Ensemble. His various endeavors have taken him far and wide: from the mountains of Montana with The Montana Artist’s Refuge to The Little Angel Puppet Theater in London to tiny tin huts in El Salvador with Artists for the 23rd Century. 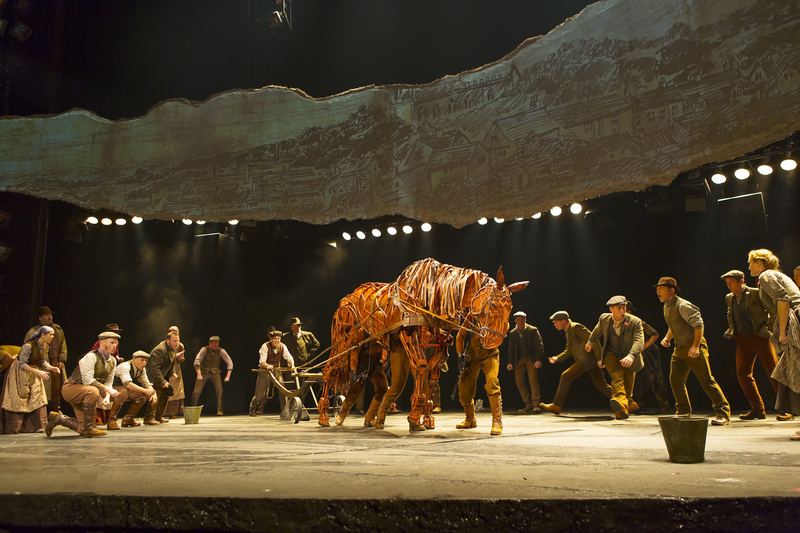 Currently, Jon is touring with the first US tour of The National Theater’s “War Horse”. In New York he has performed at LaMaMa, Dixon Place, Columbia University, The Lark, Manhattan Rep, and other venues. Regional credits include: “Shipwrecked!” (Actors Theatre of Louisville), “Brink!” (Humana Festival), “Measure for Measure” (The Rudyard Kipling), “Love’s Labour’s Lost” and “Tartuffe” with the Next Stage Ensemble (Shakespeare Theatre of New Jersey) and “Apparition” by Anne Washburn. Jon received his BFA from NYU Tisch School of the Arts Experimental Theatre Wing. His full-length play “The Ballad of Thimblebear” is currently in development and was last seen workshopping in Louisville. 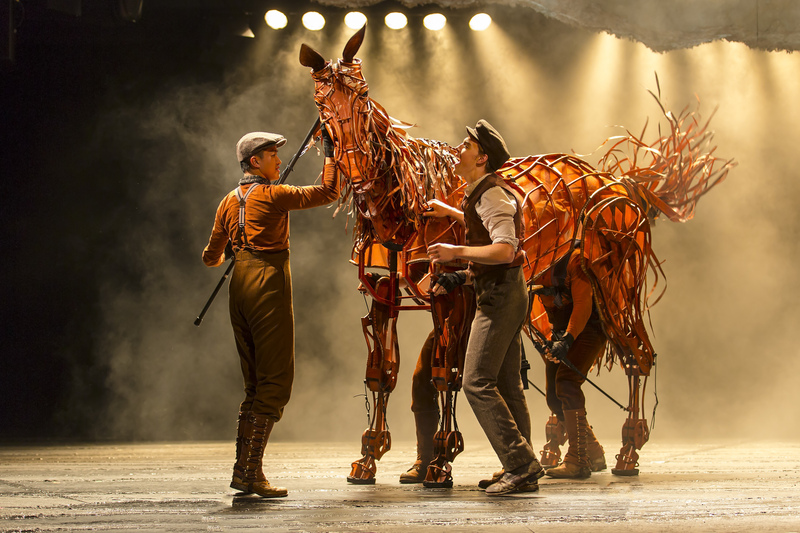 AEW: How much time do you spend rehearsing with your fellow Horse Puppeteers? We had two weeks of initial “horse camp” to learn about the horses and our positions in them. We then continued to explore throughout rehearsing the full script. Now that we’re in the midst of performing, we still check in with each other, talk about moments that may have changed, make sure we’re all on the same page, etc. AEW: What do you consider yourself more of an actor or puppeteer? I identify as an actor and a puppeteer. I’m trained as an actor but have explored puppetry on my own. I think these horses require just as much acting technique as they so require puppetry technique. AEW: How has this show differed from the others you have worked on? AEW: How has this experience changed your method and process as an actor? We’ll see! I think it’s really let me practice an openness that I’m hoping can carry into my non-horse acting. Also, the amount of intimate collaboration that’s asked of us has surely made me a more astute collaborator. AEW: What do you want the audience to leave feeling about this show? I think I want to leave feeling like they’ve been a part of the magic. I want them to leave feeling surprised with their own imaginations and inspired by the power love theater can have. AEW: What moments are your favorite in this show? I love the small moments. When Joey had to learn something new, or when Topthorn and Joey exchange playful interactions. The kicker though is the transformation scene where Joey grows from a fils to an adult horse. It’s magic!